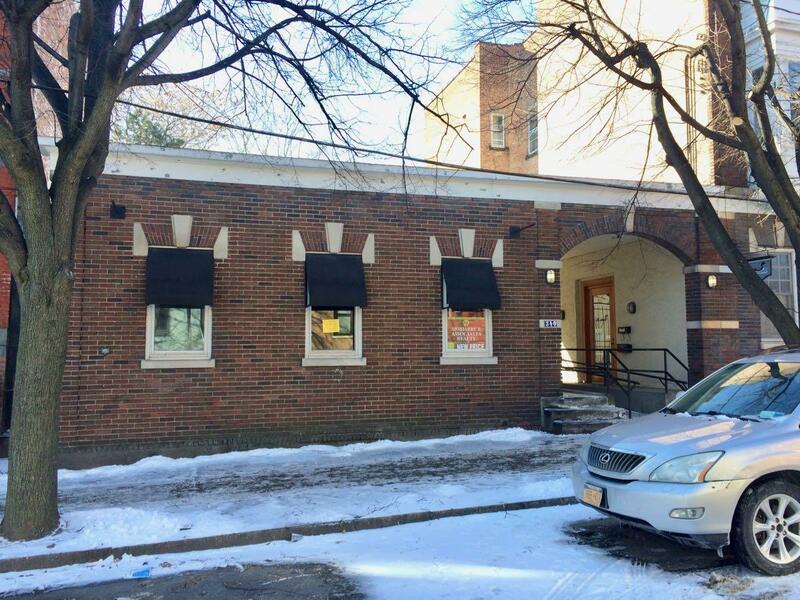 The owners of Roux in Slingerlands are planning to open a new restaurant in a space on Hamilton Street in Albany, just up from the Empire State Plaza. Here's a little bit about what's in the works. 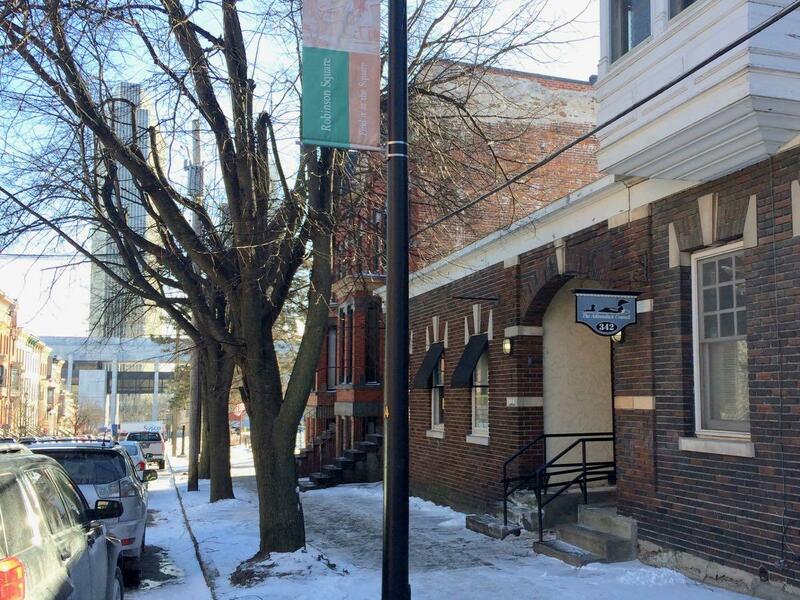 Roux owners Marisa and Everett Teller are planning the new restaurant -- called Belt Line 3 -- for 340 Hamilton Street. The property is currently owned by the owners of Cheesecake Machismo, who had at one time eyed the space as a potential expansion for the bakery. (You might also remember that this space once housed the gourmet shop/cafe Mezzo.) The Tellers are planning to buy the property. The project was up before the Albany planning board Thursday night -- it requires a conditional use permit because the property is zoned "residential townhouse." The planning board approved the permit by a 4-0 vote. "The concept is going to be Italian American, but not your typical Italian American," said Angela Carkner, who is the manager of Roux and represented the new project before the planning board. "We'll be offering Italian dishes as well as American dishes. We're going to tie in some of the farm-to-table menu that we do over at Roux, but it's not going to be super dominant like it is at Roux. Based on the season and what's available, we'll be showcasing the local farms that we work with." One of Roux's current employees, Damien Franz, will be heading up the kitchen. Carkner told the planning board the exterior of the building will be unchanged aside from cleaning. On the interior, some of the space will be rearranged to allow for food prep and office space. The open kitchen will remain, and there will be a bar area in the back. Outdoor seating in the small courtyard is also part of the plan. They're aiming for an April opening, but that's dependent on construction and a few approvals, including a liquor license. And the name, Belt Line 3? It's a reference to the trolley line that once ran along Hamilton. The board approved August Rosa's request for a conditional use permit for 231 Jay Street/250 Lark Street. He's planning to move the craft beverage shop Pint Sized, currently at State and Lark, to the space and expand the operation with a bar. Back in the early 1980's that was The Unlimited Feast- a delicatessen & catering establishment that had a nice reputation, cut short by the owner's untimely death. I have been waiting for something to move into this space for years! It was Unlimited Feast, then Mezzo - both excellent businesses! Can't wait to see what Belt Line 3 makes of it. Anyone know what 340 Hamilton was originally? It doesn't seem quite right for a carriage house. It was originally a funeral home. The Roux crew is great- what a nice addition to Hamilton. Let’s support them!! Fond memories of The Unlimited Feast--from the food selection to the utensils from a closed Fraternal organization that gave the table top some personality! It's a great building with court yard, and am glad it is going to be re-activated. But TBH, I am disappointed that it is going forward with an Italian based concept, regardless of how it is executed, it is a conservative tried and true choice...but it is in an ideal spot for a higher level of creativity. I do wish them well and trust that they will thrive! How exciting! for the new restaurant, Belt 3 Line coming in! We always enjoyed the meals from Mezzo on the weekends. Looking forward to have a nice glass of wine in their outdoors bar. Wishing the new owners congratulations and the best of luck! last few times I went to roux it was really bad and super expensive for what it was. I hope this place is better, center square needs it. I haven’t seen any progress on this? Are they still planning on moving forward?